Our 3 year old son had the flu recently and it came in very handy. Upon arriving back from the kitchen we realized our son had thrown up all over our $3,000 king mattress. Thank god this protector had been installed. We pulled up the protector and nothing went through. We have had some urine accidents too without any issues. It's easy to wash and you don't even know it's there. If you have a mattress, you need one of these. Home territory searches the web to find the best prices and availability on Mattress Protectors and related products foir your home like SafeRest Premium Hypoallergenic Waterproof Mattress Protector Vinyl Free, Multiple Sizes. For this page, related items include products we find that match the following keywords: "Mattress Protector" at our vendor partner Walmart - Click More Info / Buy Now to check for price rollbacks!. 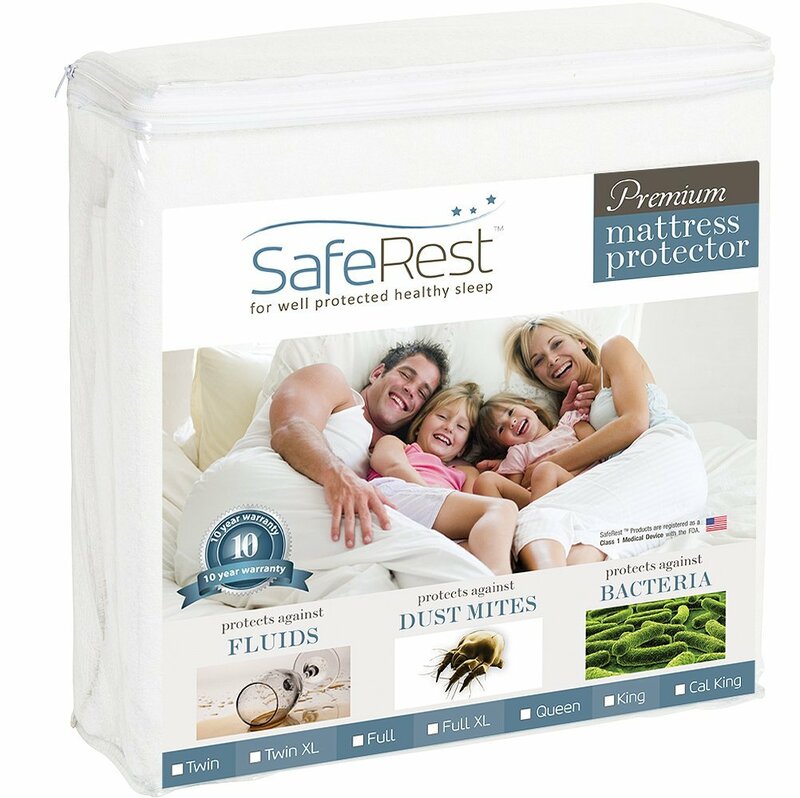 SafeRest Premium Hypoallergenic Waterproof Mattress Protector Vinyl Free, Multiple Sizes is one of 83 Mattress Protectors and related products available for sale through HomeTerritory.com, If you have any questions on this product, please give us a call at 734-971-1210 during the hours of 9am - 5pm EST for assistance. Thank you for shopping at Home Territory, the home furnishings superstore!